7. Type name for the policy in new window. Then click on users & groups and select relevant user group for the app. in my demo it is sales & marketing group. at the end click on Done to complete the selection. 8. Click on Grant under access controls and make sure default Grant access settings selected. 9. 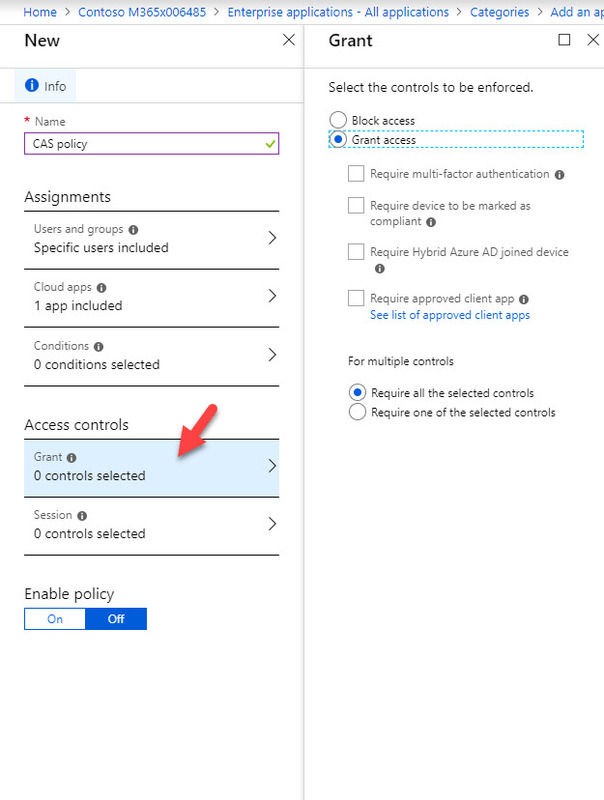 Under the sessions select Use conditional access app control . 10. 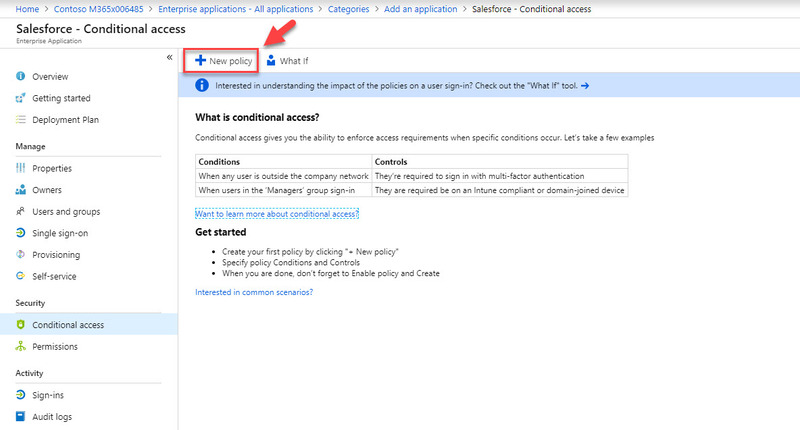 At the end click On under Enable policy. 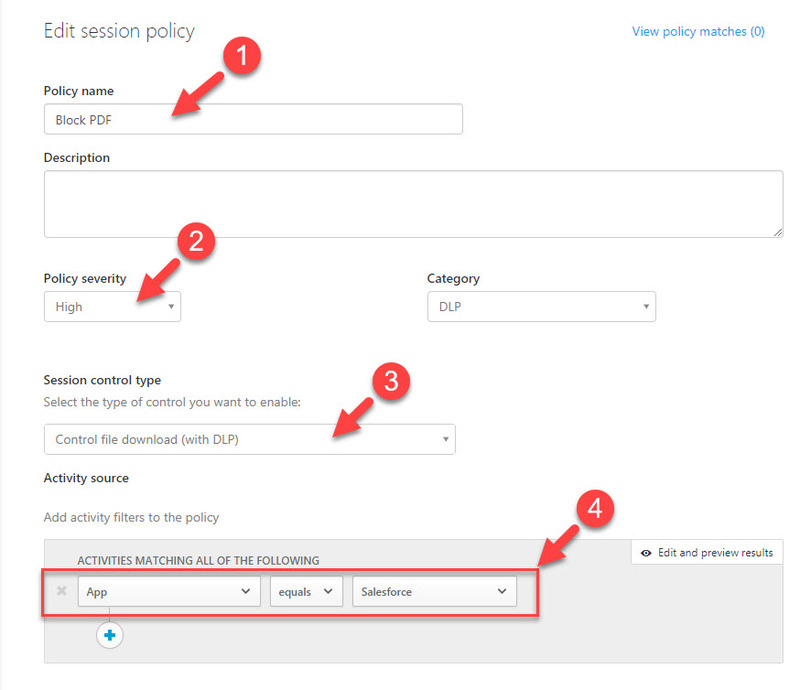 Then click on Create to complete the policy. 11. 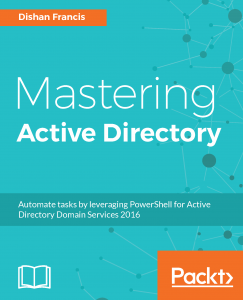 Then go to https://portal.cloudappsecurity.com and log in as global admin. 13. 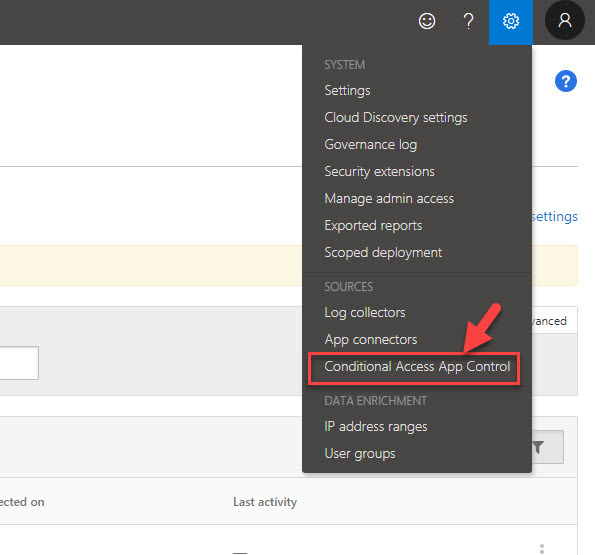 In new window click on Conditional Access App Control apps tab. 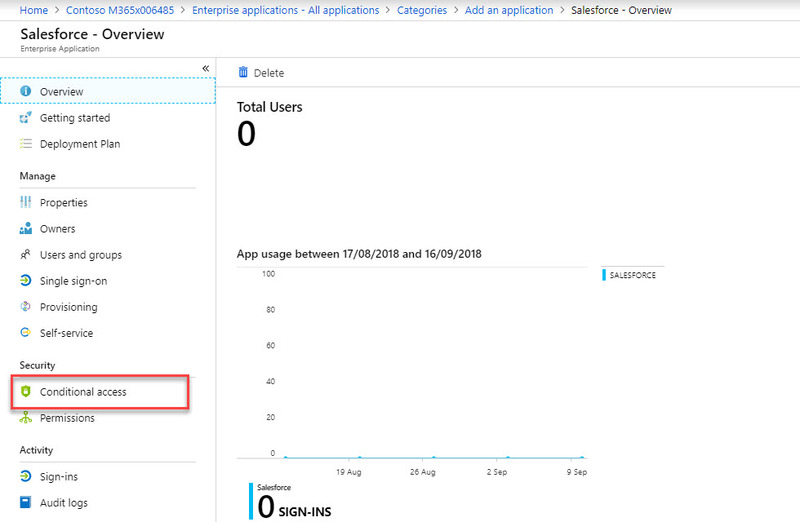 There we can see it discovered sales force app. 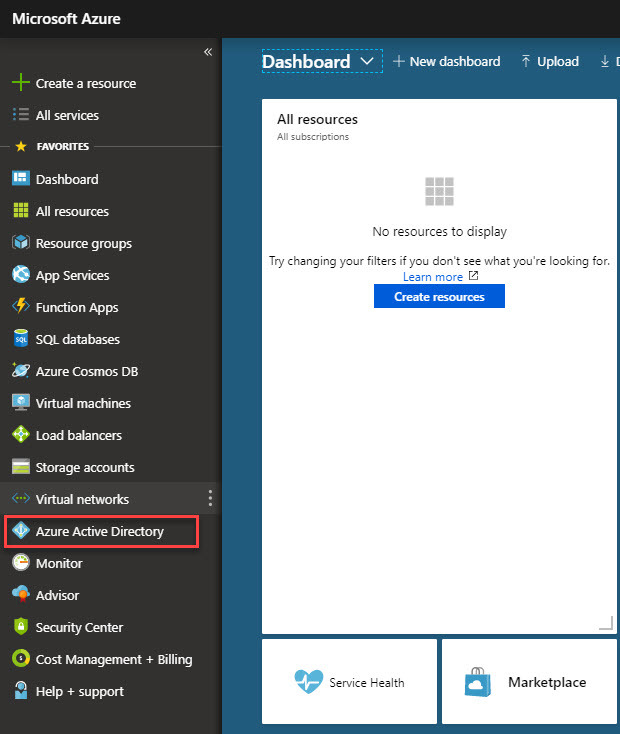 Please note once you configured the initial policy under azure AD, you need to log in to sales force via https://myapps.microsoft.com . Then only it will trigger the update. Then click on Continue setup…. link. 14. It will issue a pop-up. Click on Add to proceed. 15. Then under available controls, click on session control. 17. In policy window, type name for policy first. Then change policy severity to High. Change session control type to control file download. 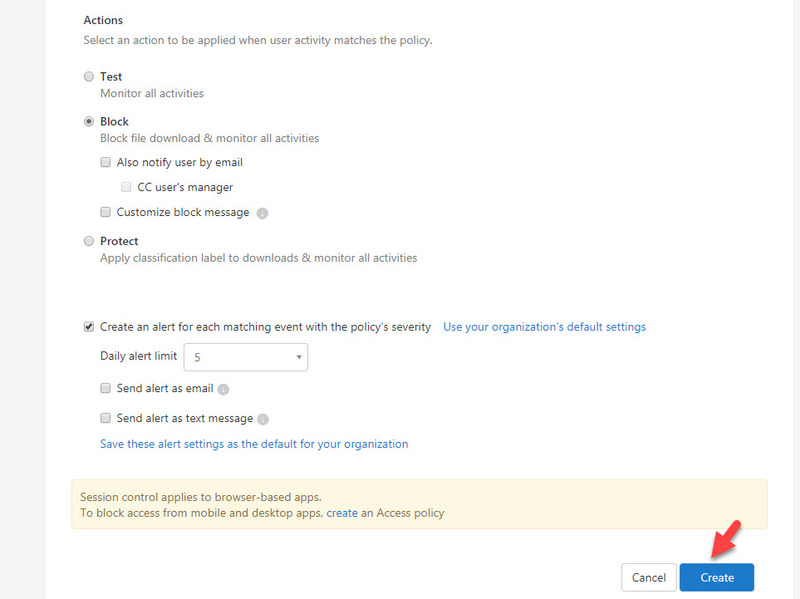 Then under activity filters to the policy, set app equals to salesforce. Same time remove any other filter in that section. 18. Then under file filters to the policy, set extension equals to pdf. At last select block under actions. 19. 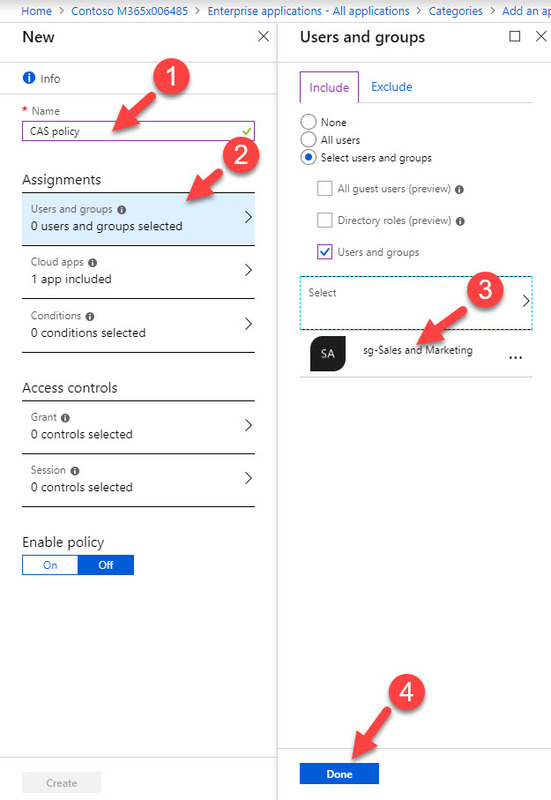 At the end click on create to setup the policy. 20. According to above policy, if a user trying to download pdf file under salesforce app, it will be blocked. So now it’s time for testing. I logged in to https://myapps.microsoft.com as a user from sales team. 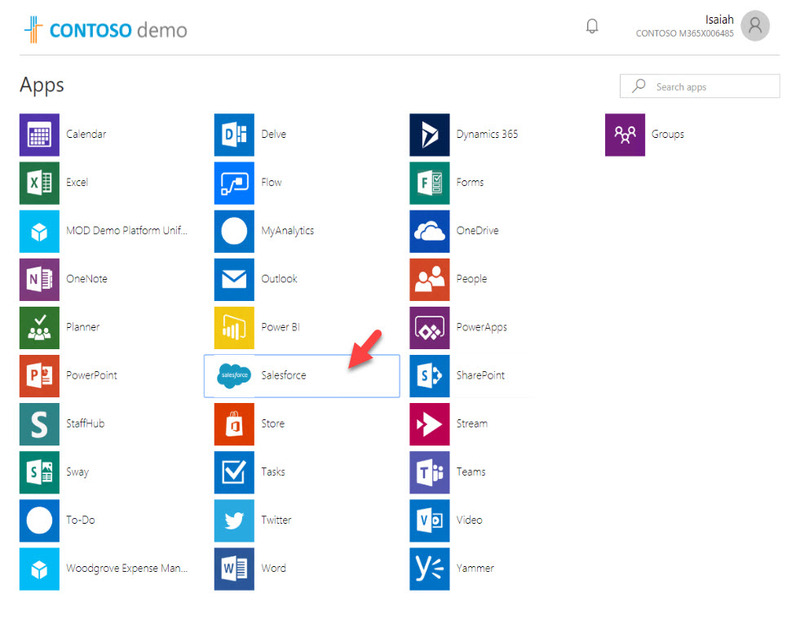 Then I click on salesforce app to launch it. 21. 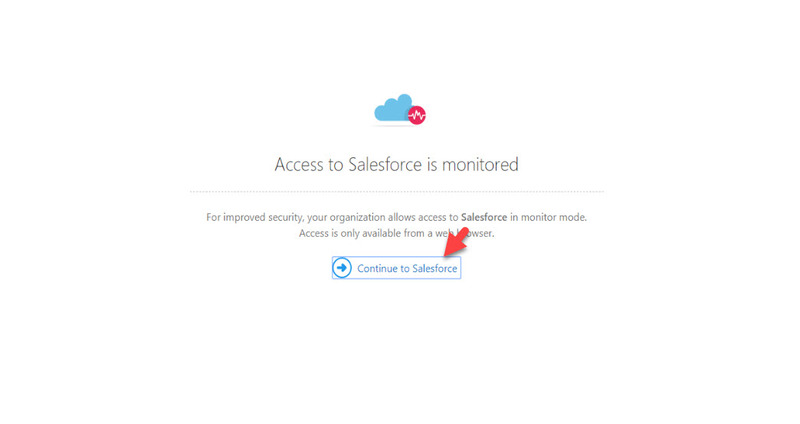 In home page, it says access to salesforce is monitored. Click on continue to salesforce. 22. Under files, I have a pdf file shared by admin. I click on download option. 23. As expected, I receive download blocked message. 24. Also, it downloads a .txt file same time which contain details of the block. 25. 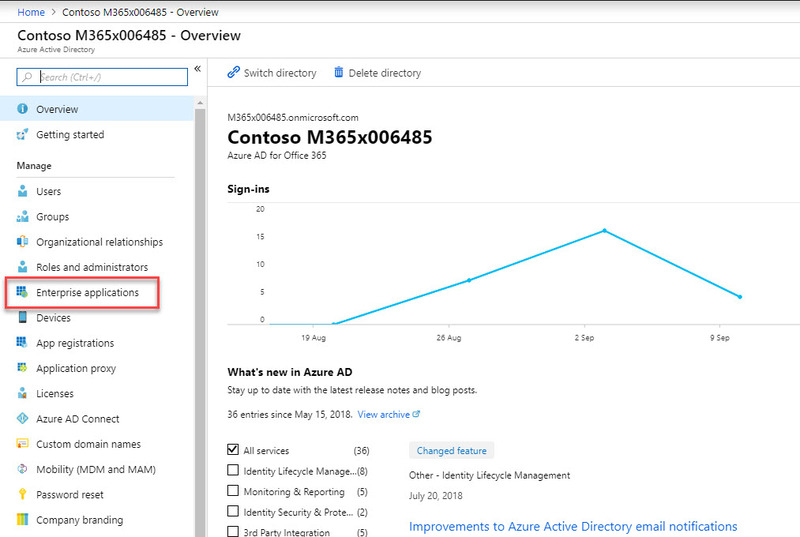 In cloud app security logs, we can see detail information related to file block. This marks the end of this blog post. 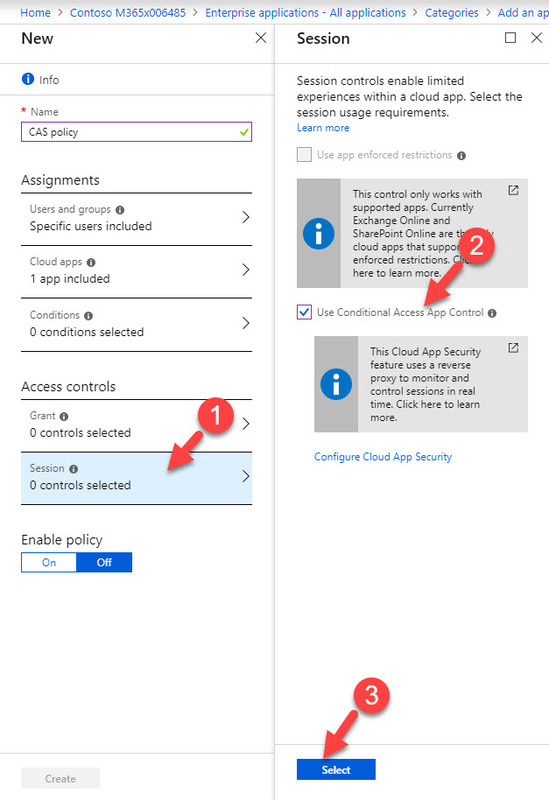 Hope now you have better understanding how we can protect cloud app content further with cloud app security. If you have any further questions feel free to contact me on rebeladm@live.com also follow me on twitter @rebeladm to get updates about new blog posts.